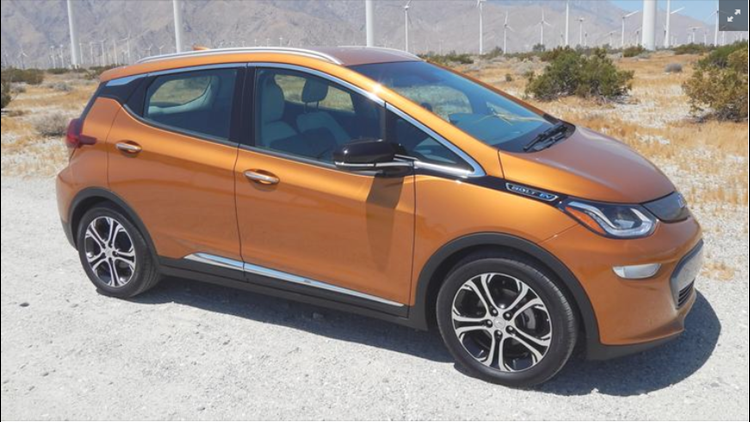 Colorado State University researchers are looking at technology that can recharge electric cars, like this Chevy Bolt, on the road. Denver Business Journal — Colorado State University is part of a consortium of research institutions examining technology allowing an electric car to recharge itself on the road. According to CSU researchers, the technology already exists for recharging all-electric cars such as the Chevy Bolt (reviewed by the Denver Business Journal here). "Retrofitted with a special receiver pad, your vehicle would communicate with the inductive coiled roadway beneath your car as you drove. Using the same technology to wirelessly charge a cell phone, your car’s battery would maintain charge," according to CSU researchers. CSU is working with researchers from Utah State University and Purdue University, and infrastructure development firm AECOM. They have been awarded $500,000 from the Department of Energy’s Advanced Research Projects Agency-Energy (ARPA-E).